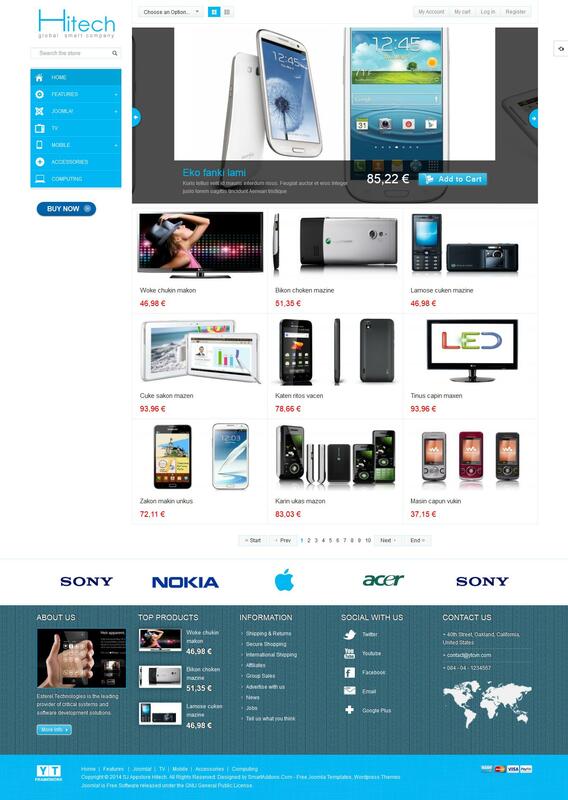 SJ AppStore HiTech - another stylish template for Joomla 2.5 from the team SmartAddons. This template is perfect for creating any online stores, thanks to the popular online commerce component Virtuemart. The template presented the latest developments: responsive design layout, use of the CSS3 and HTML5. Convenient built-in control panel allows you to adjust the template settings appearance of the site as required. The presence of built-in support club extensions studio: SJ Accordion Menu, Yt Mega Menu module and SJ MiniCart Pro. will display the most important information on the site in a flexible way.